Today’s tapestry is brought to you by unintended consequences. Once upon a time, it was a dark and stormy night, and the wind smelled like rain. Even if that’s true none of it is relevant here today. Nope, today we’re going to talk about how things end up meaning something even if there’s no way you could have seen that coming. 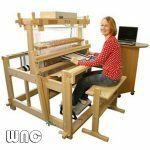 For example, in 2012 I wrote about how weavers needing consistent patterns led to modern computers. No, I’m not drunk.